I’ve been wanting one of these soap dispensers made from a mason jar ever since I seen one. 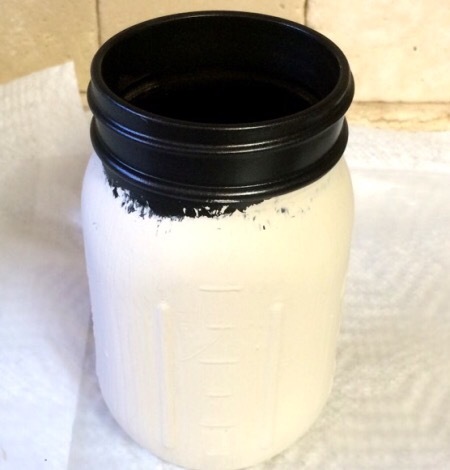 So when I ran across the pump with mason jar lid kit at Michaels I couldn’t wait to get started on my own diy soap dispenser. I made this one in one afternoon. Waiting for the paint to dry is the most time consuming. 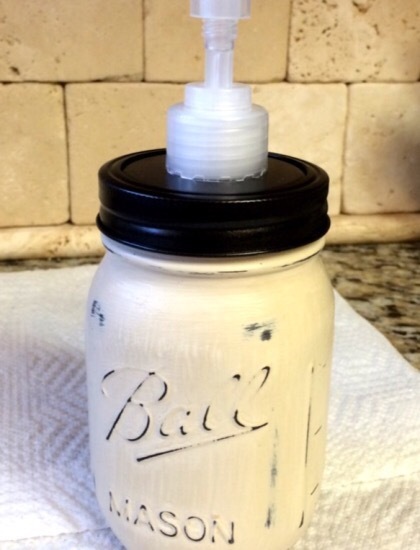 For this mason jar soap dispenser you will need one mason jar, lid and pump kit (which I purchased at Hobby Lobby), Bronze Rust-Oleum spray paint, Anne Slone “Old Ochre” chalk paint, Mod Podge , and sandpaper. 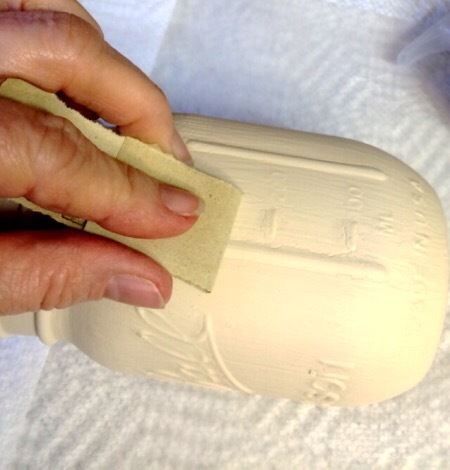 How to make a soap dispenser out of a mason jar. 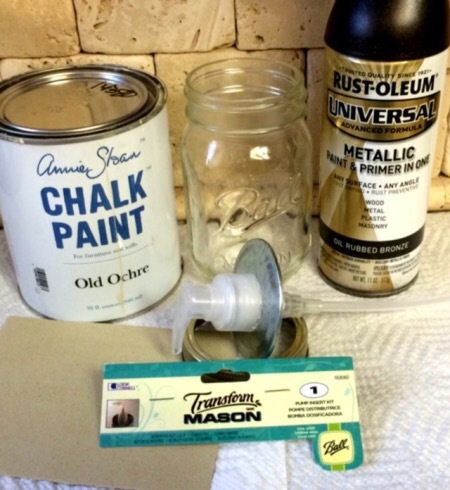 First paint your mason jar and lid with your Rust-Oleum spray paint, letting each coat dry throughly. 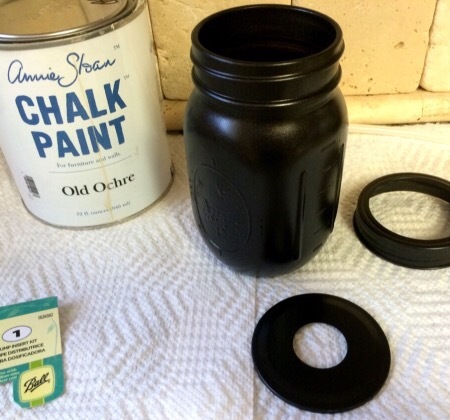 Now paint your Mason jar only with chalk paint. I added two coats. Once throughly dry flip over and add two coats to other end, letting dry between each coat. 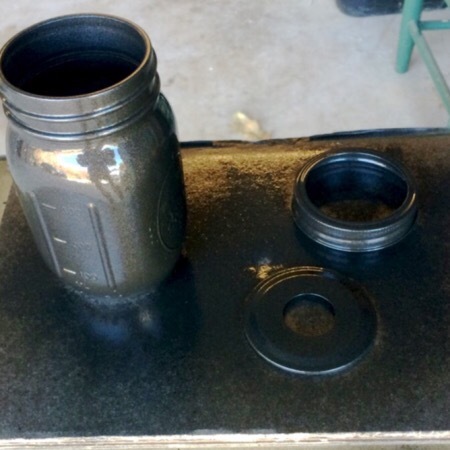 Using your sandpaper, lightly sand the lettering, and areas of your mason jar till you get the desired look you are going for. 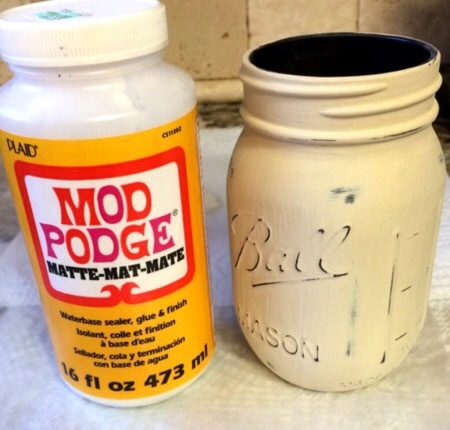 Wipe your mason jar down to remove dust, then add a coat of Mod Podge for protection. 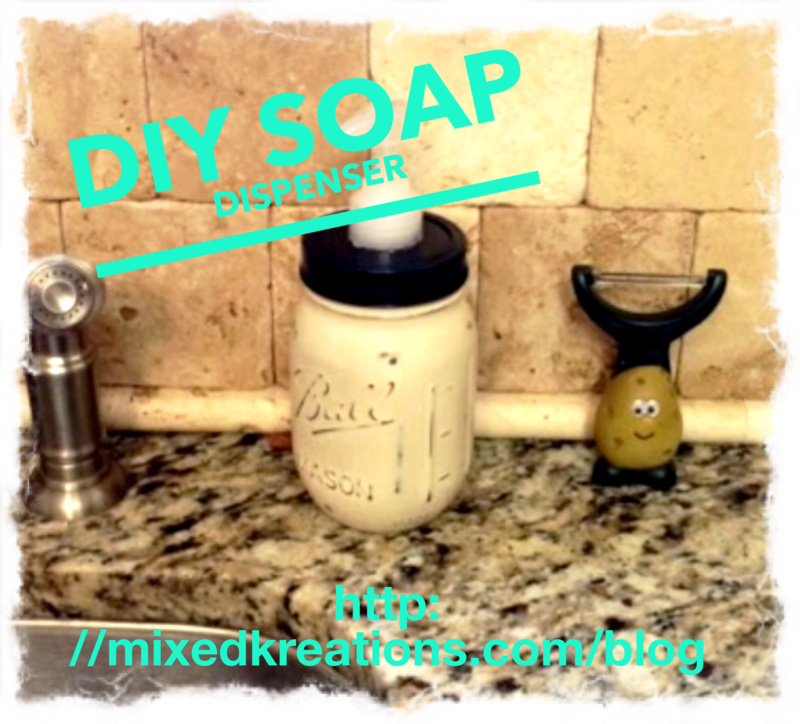 Once dry your ready to fill your mason jar soap dispenser with your favor dish soap. I love my new soap dispenser, it holds lots of soap, so I won’t have to fill it up as often. 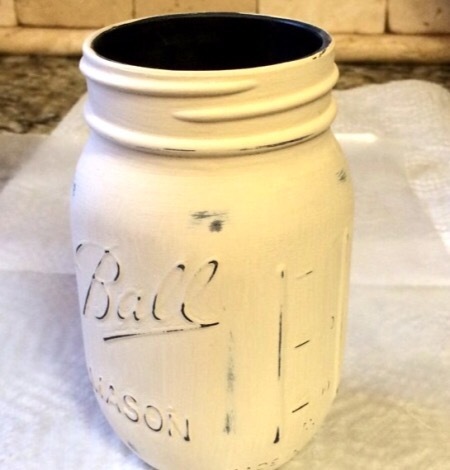 What Mason jar craft have you done lately? So creative, I may attempt this one! Thank you Deanna! You should, very easy! How do you actually make the dispenser part? Hi Abby! I bought the lid with dispenser at Hobby Lobby.